Need a lovely new Sea Salt Body Scrub to add to your exfoliating routine? Or perhaps you need a unique gift for a friend. You will love this simple recipe! Sea salt body scrubs are a wonderful thing. They can help exfoliate, clean, and moisturize your body. There are endless ways to create sea salt body scrubs at home and you probably already have the ingredients on hand to whip up a batch! 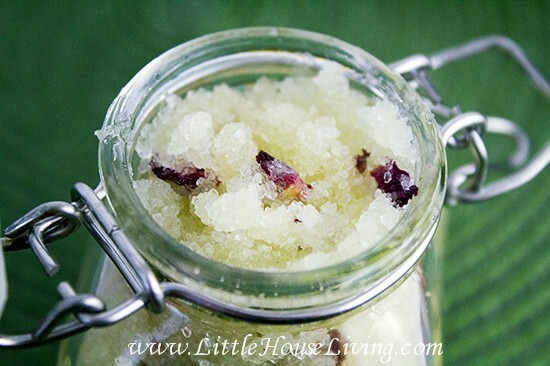 A simple sea salt body scrub is made up of 2 basic ingredients: salt and a good moisturizer. If you want additional benefits, you can also add in essential oils for a wonderful aroma. Let’s talk about the salt. You want to select a fine sea salt. 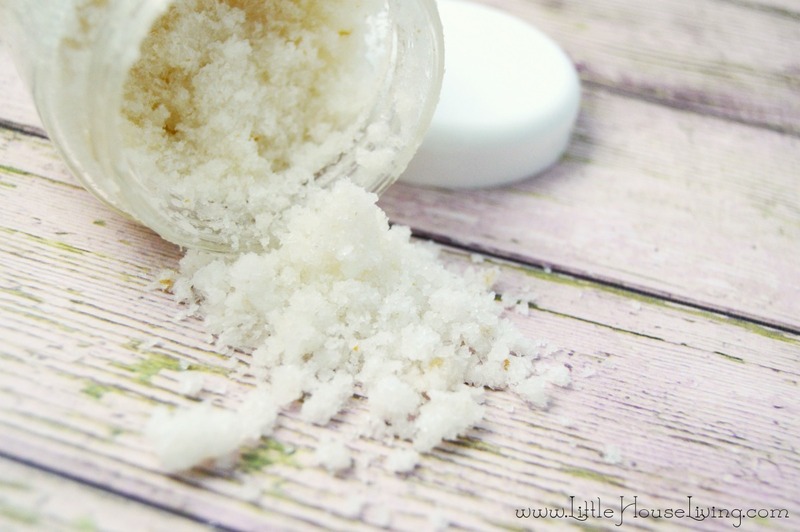 Sea salt has a nice size and density for a body scrub and has gentle exfoliating properties. I don’t recommend regular table salt as it is too abrasive and may cause tiny cuts on your skin. You should be able to find fine sea salt in most grocery stores. If you have sensitive skin, you can also use sugar, which is more gentle on the skin. Most people already have olive oil on hand and it is a great staple for this and other DIY beauty recipes. You may also consider using coconut oil, jojoba oil, grape seed oil, or almond oil. Any good-quality light oil should suffice. Depending on which essential oils you add, you can elevate your sea salt body scrub. Lavender essential oil is a great option for its calming, stress-reducing properties. Grapefruit essential oil is bright and uplifting and may help with cellulite reduction. Peppermint essential oil can help with pain and inflammation of the skin. Frankincense essential oil is helpful with anti-aging. Mix together ingredients in a small bowl. Massage gently into skin, then rinse off with warm water. If you like DIY beauty recipes, you’ll love these! Have you ever used a sea salt body scrub before? I made this on the weekend using sea salt, lavendar essential oil, and pure olive oil. I’ve used it and it feels greats, but I was wondering what is a replacement for olive oil. I just don’t like the look of it.Is there something that is a bit clearer, not so yellow? coconut oil…it’s a great oil. My wife uses coconut oil as a makeup remover. She loves it. I use it in cooking to replace corn or soy based oils. That way I get rid of one more point of exposure to corn and soy. Love that this is an easy to make recipe! I’ll be trying it out for sure. Nothing like the feeling of a wonderful exfoliation, gives a beautiful glow!! 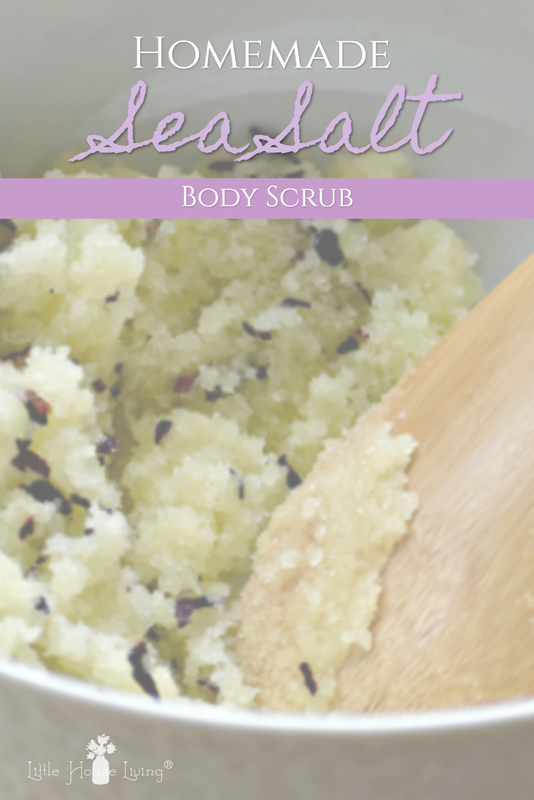 This scrub recipe is perfect timing with the nice weather here right now and being back into shorts. Thanks. My daughter made me something very similar for Christmas. I really like it..so I will have to try this one! this sounds sooo soothing to my tired, dry, winter skin!! Oh, my goodness this looks wonderful. Love how simple this body scrub is with only 3 ingredients which I happen to have. Love the explanations about making it more moisturizing as well! Wow it’s awesome, a simple and effective formula for body care. I just love it and keen to want this scrub. For sentive skin, can I replace the sea salt with sugar? And where exactly can I use the “paste” on my body? Yes, you can certainly swap out the salt for sugar. I use the scrub on my legs, torso, arms and hands. Enjoy! This is a definite must have for shorts and flip flop weather! I will give this one a try. This sounds so refreshing after the long, cold winter we just had…my skin will love it!! Pinning this to make and thanks for sharing!! 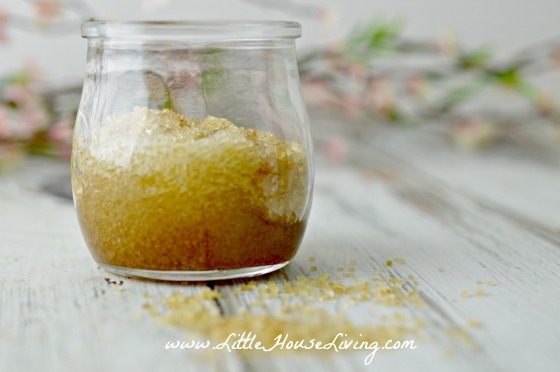 I never knew how easy it was to make your own body scrub, I may give it a go. Thanks for linking up to Sweet and Savoury Sunday, stop by and link up again. Have a great day!! I made and used coconut oil and it was very solid and really greasy which I did not expect what else if anything do I need to use to have the mixture a little less solid. I have used this at different places in Florida and loved it and wanted to make my own. Did not want to use olive oil if possible. Do you have to use essential oils or can you use candle fragrance oil? I would definitely use essential oils in any products that are going on your body. I love your website and share many of your recipes on my own site. Thank you for all the wonderful tips. Do I refrigerate this to keep? Or just regular pantry? You can just keep in a cool area. I love making my own body scrubs! The only problem that I usually have is that the oil makes my bathtub greasy :/ does that happen to you too – and do your have a solution for that? Happy Friday! What a fun treat! I’m going to keep this in mind for holiday gift ideas! This looks like such a great scrub. I will definitely have to make it and it will be a nice gift to give too. What brand if fine sea salt for scrubs do you recommend? I found s fine sea salt and it also listed unrefined. Is that the product I want? I want to make these with a group of 15. How much would this recipe make? Nice article! 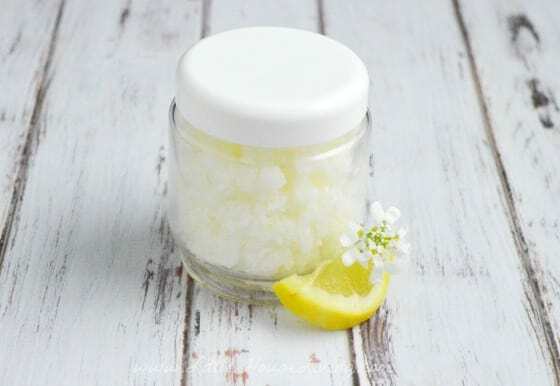 This salt face scrub seem good to try out and it can be created with in a few minutes. I will definitely give it a try. Thanks a lot for sharing.